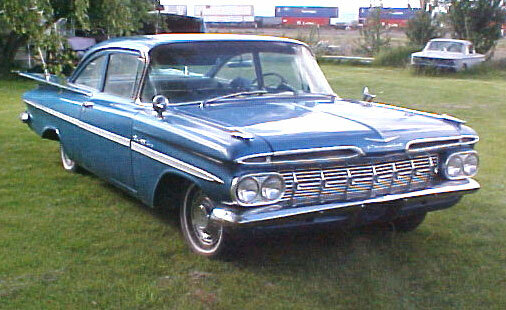 This blue 1959 Chevrolet Bel Air 2 door post sedan is a nice daily driver ready to cruise and be enjoyed. 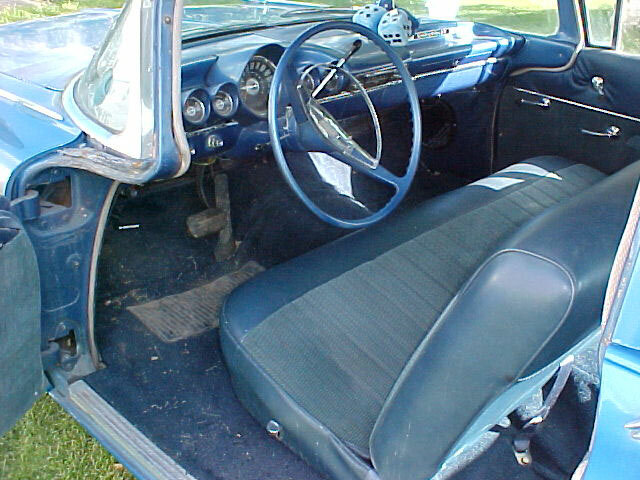 The car was restored a few years ago with new single-stage enamel blue paint. It is a #3 car. 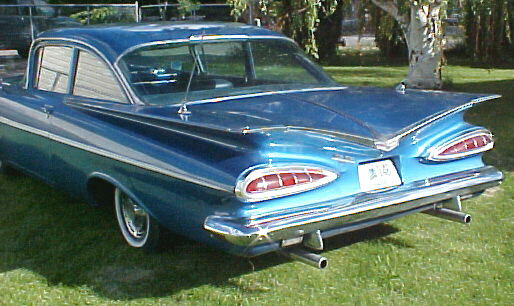 Some nice Impala trim has been added on the top of the front fenders, deck lid and center top of rear window. All the chrome trim is nice. It has dual rear antennas. The seats were also re-upholstered and new carpet was installed. 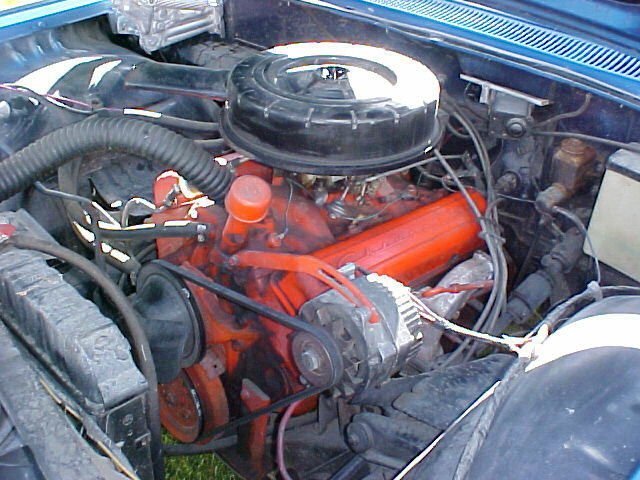 The car has a 283 CID V-8 motor with 4 barrel carburetor, dual exhaust and Powerglide automatic transmission. The car runs great and has lots of power. This is a drive-anywhere car. Don't miss this opportunity to own a highly-desirable 1959 Chevy 2 door post. Please call (406) 318-0270 for details. For sale $12,000.